Dr. Byong Won Lee, Professor of Ethnomusicology, is enjoying an exciting year with the National Gugak Center—a South Korean government organization of traditional performing arts under the Ministry of Culture, Sports and Tourism. 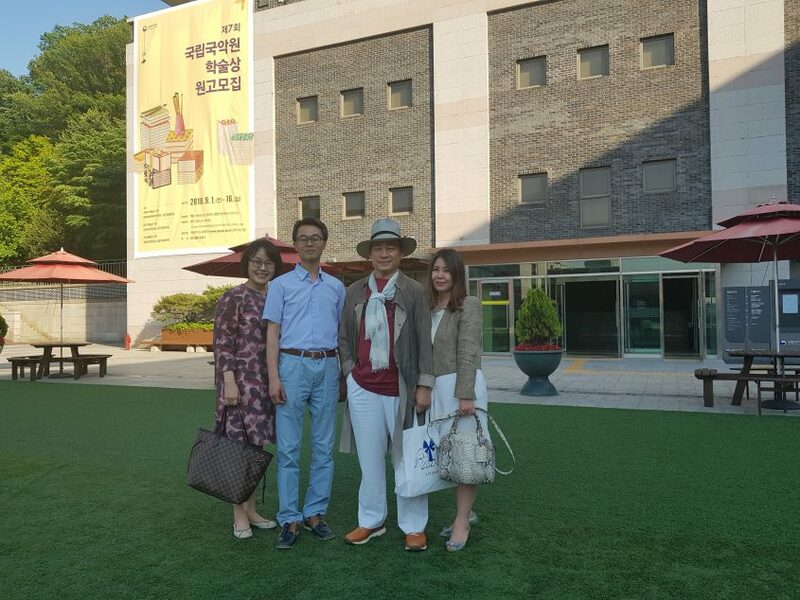 From May 24-26 of this summer, he acted as an advisor to the Advisory Committee for the production of audio CDs and DVDs featuring the Korean music and dance collected by Dr. Robert Garfias in 1966. The Center also invited him to participate in the Special Seminar on the Preservation and Dissemination of Korean Traditional Performing Arts in November 2018 in Seoul. In addition, Dr. Lee will be featured as “Pioneer of Korean Ethnomusicology” on the Center’s upcoming biographic book and documentary. Interviews for these projects will begin at the Center in November and continue until May 2019. While waiting to see Dr. Lee in the upcoming documentary, please check out his recent publications listed below. March 2018. “Politics of Arirang: Tripartite Function and the Social Dynamics of a Korean Folksong in South Korea, North Korea, and China,” Journal of International Korean Studies 17 (2018): 61-76. December 2017. “영국인 음악수집가 John Levy와 나 [John Levy’s Contribution in Disseminating Korean Music in the 1960s],” Tongyang Ŭmak: Journal of the Asian Music Research Institute Seoul National University. 42 (December 2017) 267-275. November 2017. “범패 홋소리와 짓소리의 음악적 구조와 경제사회적 기능 [Musical Variance in Korean Buddhist Chant: Conformance to Socioeconomy], Buddhist Newspaper (November 27, 2017, Seoul, Korea).